Bass are starting to spawn in Az. Went flipping yesterday and man they were moving all 9ver inside the reeds. Flip in and all the sudden the reeds would jolt and u would grt smoked lol. So fun. Awesome post! What another year you’re having! Hows yours been going so far?? Weather is perfect now for fish to move. The fishing gods are going to strike me with lightening after this comment, but I’ve been in a new relationship and need I say more lol? I did lay it out last week that the spawn is upon us, so I told her, “you’re going to have to accept this lifestyle” and she’s all about it! She passed the most important sniff test so I’ll be starting this month! Prespawn/Spawn Crappie fishing is a must at Alamo which I s going down this March, along with the amazing striper fishing in the northern coves of Lake Pleasant is also mandatory. Speaking of mandatory, we need to hit your spot man! Trust me, I’m not on social media and I’m super tight lipped. I just want to share the experience at least once Arizona fishing pride all the way! Sorry for highjacking your post, but keep the reports coming! Sounds like u found a keeper lol. Ya i need to get the boat out for some crappie my parents are here for "winter" and my dad loves crappie fishin. 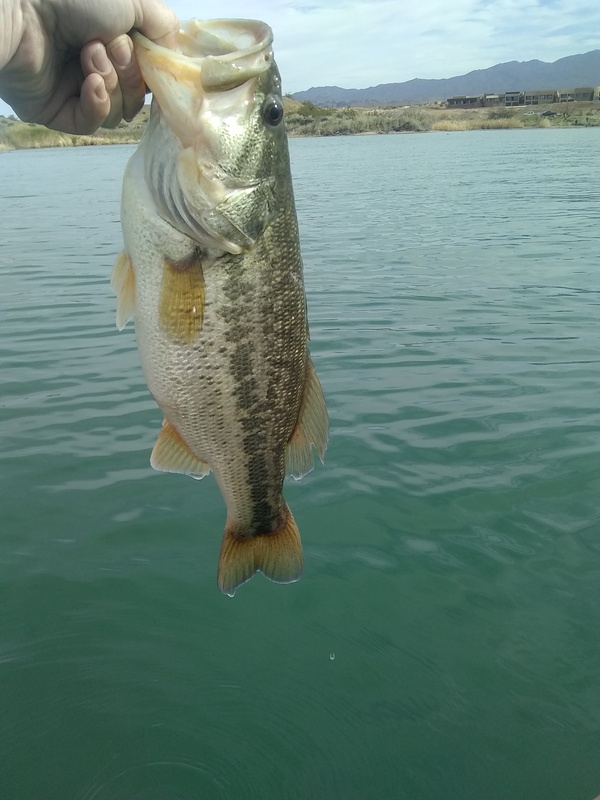 Roosevelt should be heating up soon and havasu i know the bite is picking up right now. When i was stationed in new Mexico i never made it up to the san juan i always wanted to. I dont fly fish tho. Havasu has smallies bedding up and largies staging. Thats what i hear! Once im done testing for tech sgt tomorrow im up there lol. Great job brother...taking my nephew out this week on Pleasant...hoping to put him on some fish. Got skunked there last week...we’ll see! How did you do? Found lots staging up. Rocky dropoffs to grass lines before spawning flats. Swing heads got em good. Nothing big though. I havent been up yet. It was super windy this weekend. And last weekend i was in san diego. I will be up there soon though! Looks like ya found a nice one!